It’s not absolutely necessary to be right more often than to be wrong to make your trading account grow. Discussing the principles of a trading plan development, we talked about the importance of risk and money management rules. Ignoring these points of the trading plan leads to a rapid loss of funds. In this article, we will continue to discuss the importance of the fourth and fifth points of the trading plan and by simple examples, we will analyze the reasons for their extreme importance. Risk management implies understanding where to exit the market and it allows you to determine if the trade is qualitative in terms of profit and risks potential. The purpose of applying risk management rules is to increase the stability of the trading account, reduce drawdowns and maximize profits. Let’s take a simple example, illustrating the absolute importance of applying risk management rules in trading. Suppose the risk per trade is $10, the potential profit is also $10. Is this trade noteworthy? To answer this question we need to know the probability of profit or loss. But the problem is that in trading this can be done only after the fact, in other words, during the analysis of trade history, that is after you have risked the money or while testing the strategy on historical data. This is one of the reasons why you can’t trade on a real account according to the strategy you have not tested on a rather long and winding period of history. This means that on average in each trade a trader loses 20 cents, and the more transactions will be made, the more funds will be lost. This is common in all systems with a knowingly negative expected value (for example roulette, slot machines). If the expected value is less than zero then trading makes no sense. The more trades a trader makes the more funds will be lost. Similarly, in binary options “winning” tends to be less than risk. It shifts the expected value in favor of the casino (the company that pretends to be a broker), that is if the trader makes a profit in 50% of cases, he remains at a loss anyway. In real exchange-traded options, you have the right to choose the profit and risk potentials from thousands of possible options and the price of such options is determined by market demand and supply and not by the corresponding department of the broker. If on average the profit is equal or lower than the risk in each trade, then the trader is obliged (!) to make more profitable trades than loss-making ones. Why assume such obligation? This is absurd. Just for this reason, the recommended profit-loss ratio is two to one. This isn’t a fad of old traders who traded in the early eighties, but axioms, ignoring which is an extremely expensive idea. Let’s develop this topic and analyze a few more prime examples. Suppose the trading capital is $10 000. The risk per trade is $200, the profit-loss ratio is two to one, that is the average profit per trade is $400. This means that on average the trader gets a result of $ 40 in each trade and if there are many trades the trading account will be all right. The trader is wrong in 60% of cases, and his capital grows by 120%? This is the «Grail» – the magic of risk management. The «Grail» in trading is in the fourth and fifth points of the trading plan, in risk-reward ratio per trade and in the optimal position sizing. If the profit-loss ratio is higher or equal to 2, then the trader gets the opportunity to be wrong more often than to be right. This increases the probability of obtaining a positive expected value. And the higher the profit-loss ratio in each trade the more increasingly the trading account will grow and the faster the drawdowns will end. This idea that in order to make a decision you need to focus on the consequences (which you can know) rather than the probability (which you can’t know) is the central idea of uncertainty. Much of my life is based on it. Qualitative trades are trades with a high reward-risk ratio. In this case the complexity is purely of psychological nature. A trader will have to skip some trades if their profit potential is not high enough. 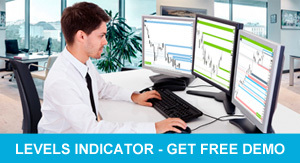 Experience shows that this is extremely difficult, especially for novice traders. Often, if a newcomer sees a market entry signal (1,2 and 3 points of the trading plan are being performed), then he begins to act, in other words, he buys or sells. And, at best, the profit and risk potential is calculated after entering the market and, at worst, it isn’t determined at all. Is it any wonder most traders destroy their first trading accounts during few weeks? Let’s take one more example. Let the trading capital be $10,000. The risk per trade is $200 and the risk-reward ratio is one to four, that is, the average profit per trade is $800. This is a very difficult trading from a psychological viewpoint. The trader has to skip about 8 of 10 market entry points. At the same time, some of the missed signals are carried out. It’s difficult not to lose control and start trading a ratio of 1:1 or higher. This is the root of temptation. Suppose that in this example the trader has a strong will to win, and he succeeds. During the quarter he makes 300 trades. At the same time, the trading period is simply terrible and the trader is wrong in 70% (!) of cases and only 30% of positions are closed with profit. Is it bad? Is the quarter unprofitable? The trader is wrong in 70% of cases and his capital increases by 300%. Do we need any more illustrations of the importance of applying risk management rules in trading? There are really four kinds of trades or bets: good bets, bad bets, winning bets, and losing bets. Most people think that a losing trade was a bad bet. That is absolutely wrong. You can lose money even on a good bet. If the odds on a bet are 50/50 and the payoff is $2 versus a $1 risk, that is a good bet even if you lose. The important point is that if you do enough of those trades or bets, eventually you have to come out ahead. You don’t need to be right in more than 50% of cases to make your trading account grow. This probability will not be predicted as it will vary from in each trade. It is much more important to follow the risk management rules, that is, to be able to skip trades and not try to trade signals with low reward-risk ratio, in other words, low-quality signals. It’s very difficult as the markets are constantly on the move and in the sources of information (analytics, blogs, social networks) thousands of opinions on investment ideas and the prospects for the particular market movement are transmitted every day. As another illustration of the importance of using risk management rules, I want to mention four yield curves modeled in Excel. The vertical axis is capital, the horizontal one is the trades. Figure. 1. Illustration of the advantages and disadvantages of different risk management models. The risk-reward ratio varies from 1:1 to 1:5. Initial parameters: probability of profit is 40%; risk per trade is $30; seed capital is $1000. The probability of profit is 40%, that is, most of the trades are unprofitable in the model. Seed capital in each case is $1000, this is the left point on the chart. To simplify the example, risk per trade was fixed at $30 and only the profit potential changed (in reality the risk must be fixed in % of the capital, it will change in the account currency in each trade). The model considers four different approaches to trading which differ in the risk-reward ratio in each trade. In the first case (yellow chart), the risk-reward ratio is one to one. If the risk per trade is $30, then the profit per trade is also $30. The trader assumed the obligation to trade profitably more often than at a loss and quickly destroyed his trading account in a difficult trading period (such periods are more often unpredictable than expected). Around the 50th trade, his capital was already approaching zero. The probability of profit for all traders in this sample is lower than the probability of a loss, but a trader who is ready to open positions with a low reward-risk ratio takes more risks than others. Red chart. The risk-reward ratio is 1:2. Despite the fact that there are more losing trades than profitable ones, the capital increases and through 100 trades it is $1,330, through two hundred trades it is $1,750 and through three hundred it is $2,800. If a trader uses risk management rules but doesn’t succeed during a long period of time, his capital can still grow. This is a key idea. Green chart. The risk-reward ratio is 1:3. Blue chart. The risk-reward ratio is 1:5 In the latter case the capital increases more than tenfold over the period of time, although most of the trades are unprofitable. If a trader follows the money and risk management rules and the profit-loss ratio is more than two to one, he can afford to be wrong more often than to be right. If the reward-risk ratio is equal or lower than 1:1, the trader is obliged to trade profitably more often than at a loss. When trading with a profit-loss ratio of 1:1, after a loss-making trade, you have to make two profitable ones to bring the trading account with profit. With a ratio of 3:1 only one profitable trade is enough to raise capital into a plus, even if two unprofitable trades have been closed before. The higher the profit-loss ratio, the more often a trader can be wrong without destroying the results of his previous trades. This axiom of risk management is extremely simple, but traders tend to invest a lot of time and capital in the trading process with low profit-loss ratios before accepting it. The simplicity of this rule while studying trading can discourage. During this period traders tend to complicate, in other words, to search for intricate trading systems and to plot tens of indicators on the chart. This is the specificity of this period. Axioms of risk management are easy to understand but difficult to be applied in practice. Skipping low-quality trades that will be often closed with the profit, the trader may have the illusion of missed opportunities. To prevent this, it’s enough to remind yourself that trading with low profit-loss ratios is the surest way to destroy a trading account and the volunteer assumed obligation to trade profitably more often than at a loss. Usually, such reminder helps overcome the desire to trade every market signal and allows you to focus on the long-term goal, that is capital growth from period to period. I think one of my strengths is that I view anything that has happened up to the present point in time as history. I really don’t care about the mistake I made three seconds ago in the market. What I care about is what I am going to do from the next moment on. I try to avoid any emotional attachment to a market.